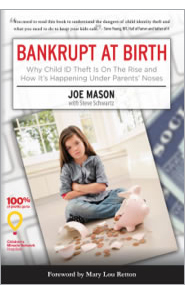 Secure regional and national media coverage on behalf of Meredith 360’s client, Intersections, and its new Child ID theft product and book, Bankrupt at Birth. Position Senior VP of Intersections as the leading theft expert/author. Develop a publicity campaign targeting radio, broadcast and print outlets in New York, Los Angeles, Chicago, Kansas City, Atlanta and Portland, as well as nationally syndicated radio and cable news outlets. Secured national TV coverage for Joe Mason with HLN’s Evening Express and on Fox News Channel, as well as local coverage in all key cities. Print placements with The Chicago Sun-Times, Portland Oregonian, USA Today college blog, Westchester Family, among others. Radio interviews for Joe Mason with the John Tesh Radio Show, as well as several regional stations in the key target cities. Meredith 360 retained BeyondPR Group to handle public relations efforts on behalf of Intersections for 2013.